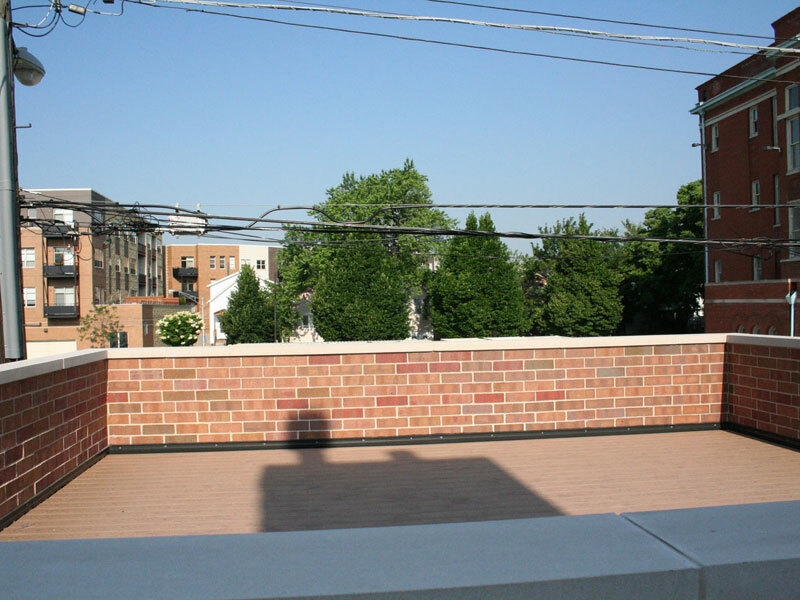 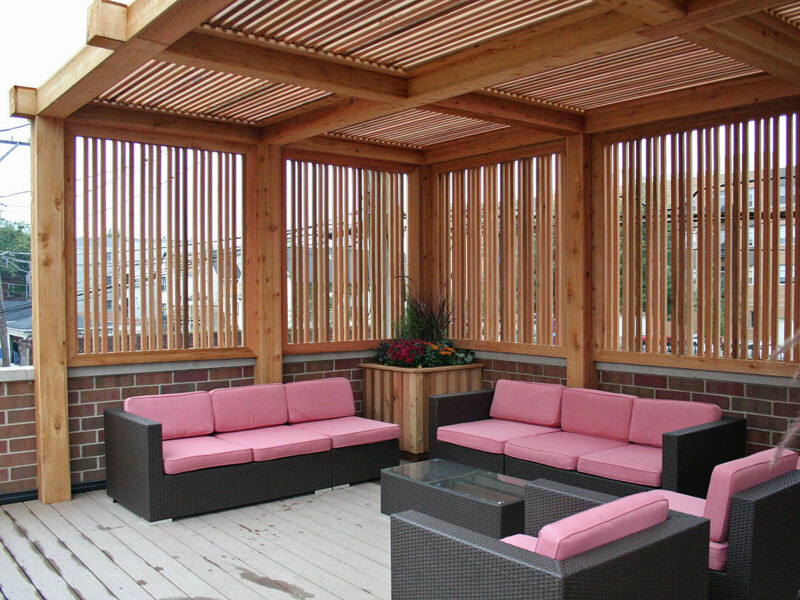 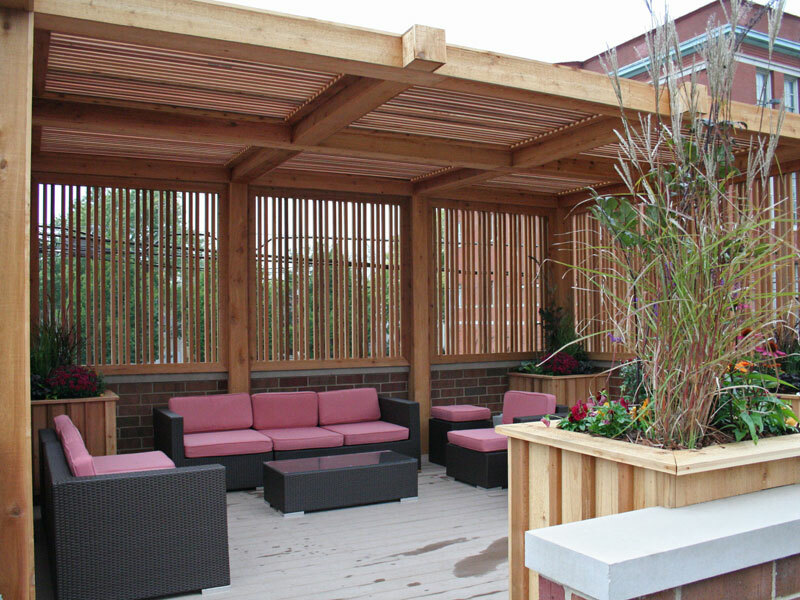 Designed for clients that frequently entertain, this elegant rooftop pergola provides both privacy from the nearby school and respite from the late afternoon sun. 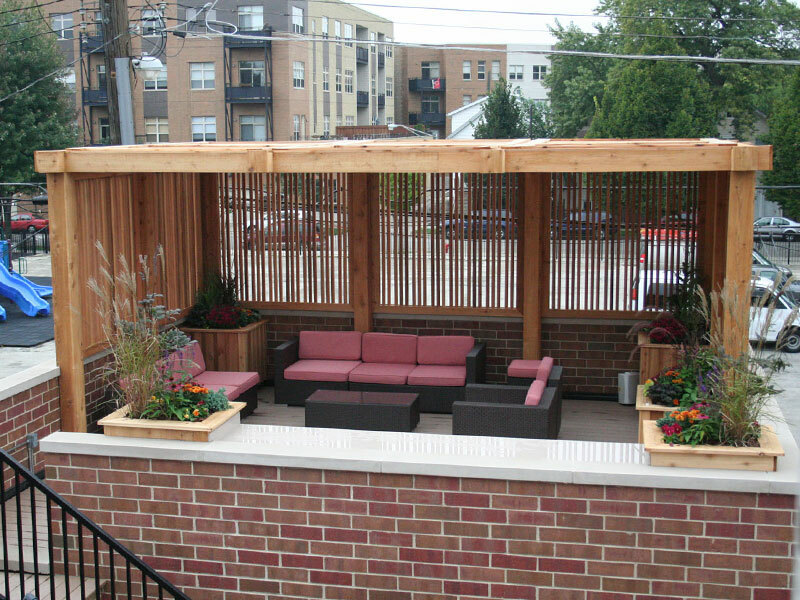 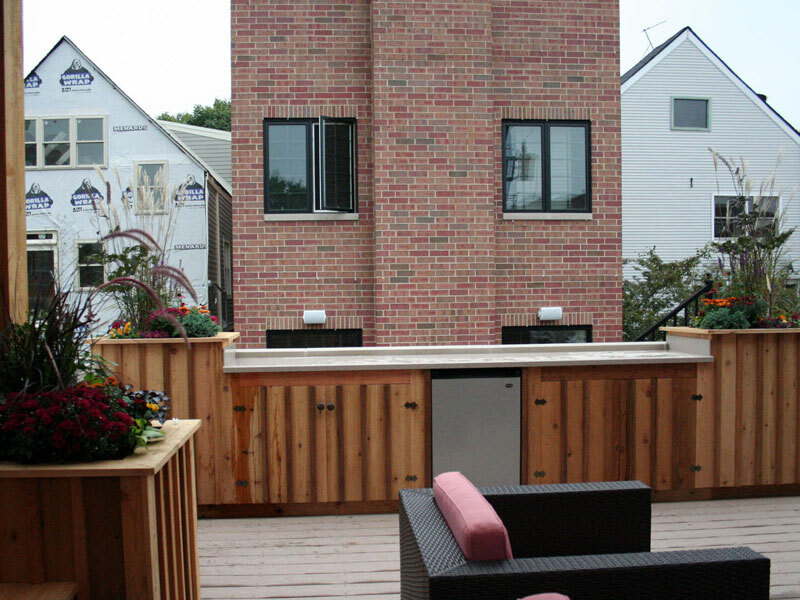 Comfortable and spacious, their new rooftop ‘living room’ includes many built-in amenities including planting containers, bench, refrigerator, storage cabinets and an extra long countertop. 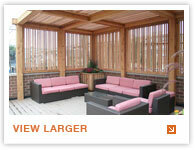 Fans, a gas fireplace and heaters will make this a multi-season entertaining space.